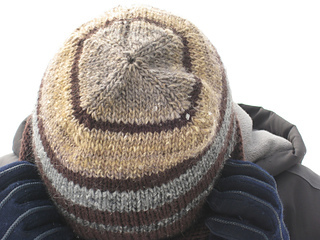 This pattern is also known as “Beanie” in Men’s Knits: 20 New Classics. 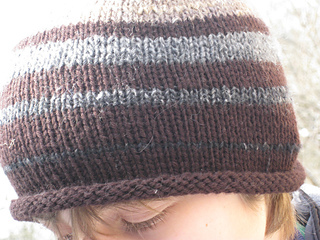 Another basic hat design to make either in a plain color or in a variegated stripe pattern using two complementary shades. 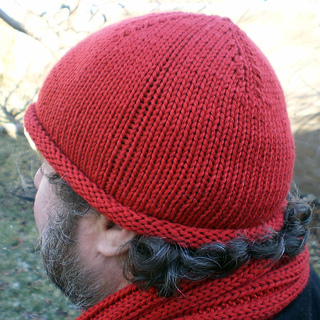 Like the hat on pages 122-125, this hat is knitted in stockinette stitch with a shaped crown, but rather than a ribbed band, it has a soft rolled edge.